I forgot how old my husband is. Not like, “oh I’m making fun of you because you can’t throw it down like you used to,” more like, “you’re 32, right? No, wait. 31? 33?” Call me a bad wife but the numbers just seem to blur together. 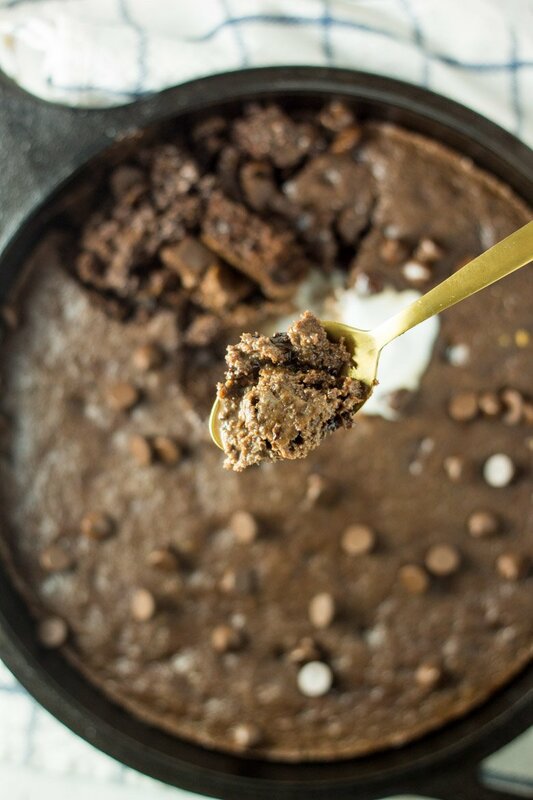 Because of my inability to remember anything lately, I’ll just make my own paleo chocolate brownie skillet cake for my birthday this year, then I don’t have to feel guilty forgetting anyone else’s. Yes yes, go shawty, it’s my birthday. I remember when birthdays used to consist of going out for martinis with a dozen of my closest gal pals, finding the perfect outfit beforehand, and nursing an epic (but worth it) hangover the next day. Oh life of my 20’s. This birthday will undoubabley be just as wild. I’m thinking husband takes over bath duty with the kids, I slip into my sexiest granny-like pjs (you know, those SUPER soft ‘n fuzzy ones), push play on the DVR, and cry watching This is Us. I can’t decide if I’ll have a glass of red, white, or just some camomile tea. Maybe my husband will get me jewelry, a leather handbag, or that bath rug I’ve been eyeing on Macys.com. I’m sure my friends will be flooding me with calls and flowers, or maybe just lots of Snapchats of them, sans makeup, doing the exact same thing I am that night. I mean, the possibilities are endless. I’m SURE my kids will sleep in past 6am the next day – it’s my birthday, why would they not? And no doubt I’ll be sending text to my sister saying, “thirty-xxxxx is THE year”. A beautiful 3-tiered birthday cake will have a massive piece missing, from all of our celebrating the previous night. Actually, none of this will happen. I’ll pass out before we even start watching TV, my husband will be like, “just go buy something you want”, my friends will be passed out as well, because…parenting. My kids will wake up 3 times that night and I’ll pass on the picture perfect cake because those are stupid expensive. LIES – my husband will get me something. He actually is a terrific gift-giver. And there will be cake. There HAS to be cake. 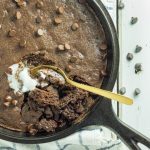 I’m perfectly satisfied whipping up my own paleo chocolate brownie skillet cake and eating it straight from the pan (somewhere in between the kids’ bath/before I fall asleep on the couch). I may not share because….birthday girl. And of course I’ll make it the same classic way I always do – gluten free, dairy free, naturally sweetened, and sprinkled with a few more chocolate chips straight out of the oven (because…warm, melty chocolate). In under 30 minutes, you have a decadent treat for birthdays, anniversaries, get-togethers, or a ‘just because’ family dessert. 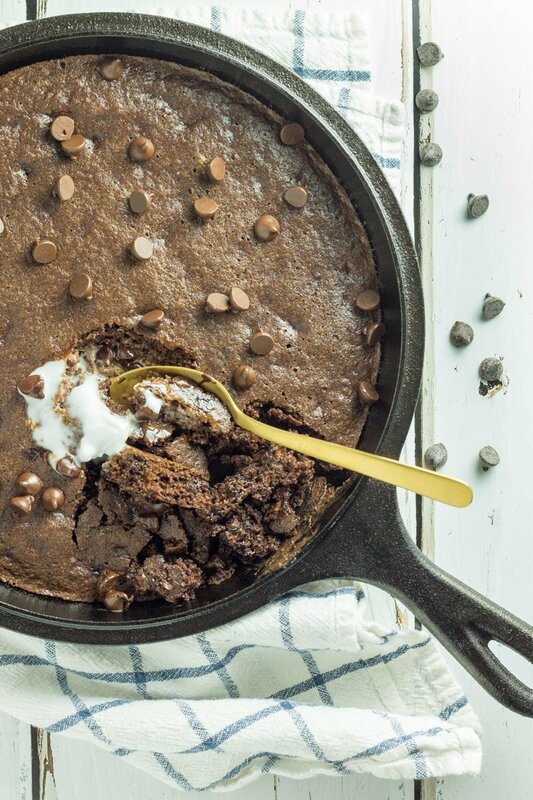 Top it with ice cream or whipped coconut cream (droooooool) and you won’t look at your cast-iron skillet (or traditional birthday cakes) the same ever again. Chocolate not your thing? Then we can’t be friends. KIDDING! 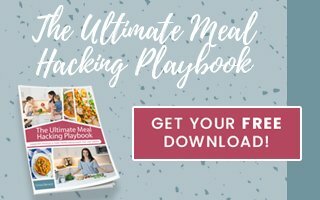 Here are some other healthy dessert recipes to try instead: paleo strawberry mug cake, paleo lemon strawberry cheesecake, paleo apple bread with caramel maple glaze, or paleo banana cream pie cookies. Whattt! Happy birthday girl! This is the way to celebrate! All the chocolate! The first thing I made with my new little cast iron I got for Christmas this year was the famous skillet brownie 😉 Amazing! What a great Christmas gift! I love my skillet and want more more more! 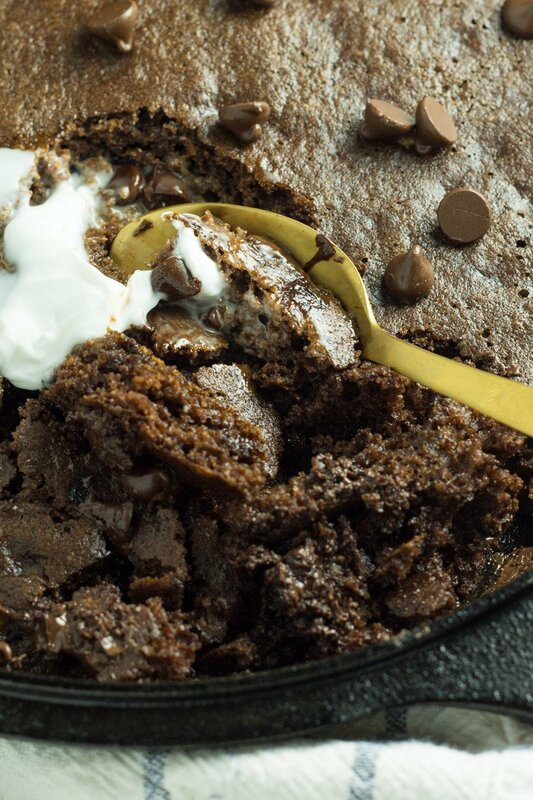 umm YES this skillet cake is AMAZING!! What better way to celebrate a birthday than with this?! Happy Birthday, girl!!!!!!!!!!!!! 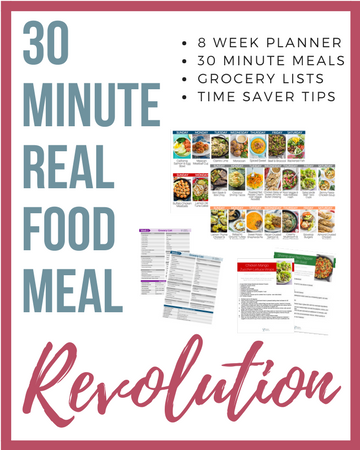 I’m literally sitting here chuckling at how cute you are – I love this post & recipe! You know I’m pinning to make it! Awe you’re the best. Thanks Allie. Enjoy ALL THE CHOCOLATE! Well I certainly did BECAUSE OF YOU!!!! Seriously no one has made me cry with a random package but yours certainly did. You are such an amazing light in so many lives Emily! Thank you thank you thank you! LOOOOOOOVE YOU!!!!!! I will totally take more zzzz’s as a bday gift. LAME but sounds oh so amazing. Hubby pulled through per usual and surprised me with an Apple Watch! Happy Birthday Chrissa! This skillet looks like the ideal way to celebrate – well this and a glass of red wine. Enjoy your day! Thanks girl! Nothing beats chocolate and a big glass of red on special days! Right?! This looks SO good! And what a great way to treat yourself! I hope that you get something other than bathmats for your birthday.? Hehehe the hubby did indeed pull through with an awesome Apple Watch!!! YAAAAAY! 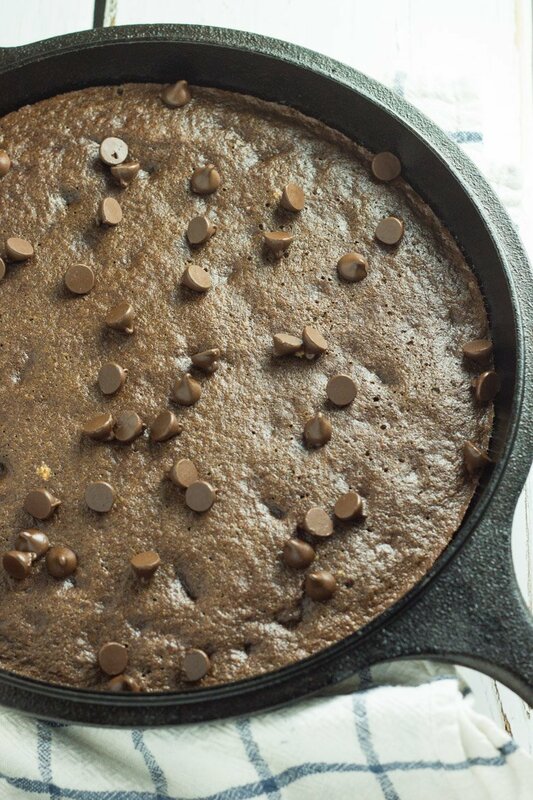 I love my cast iron but this would probably work with any oven-safe dish. Enjoy Alexa! Thanks for stopping by. Can I make this without eggs?? Hi Sue – you’ll need some sort of binder in this recipe. You could definitely try a chia or flax egg. Let me know if it turns out!